Look at all these beautiful Bluth noses! 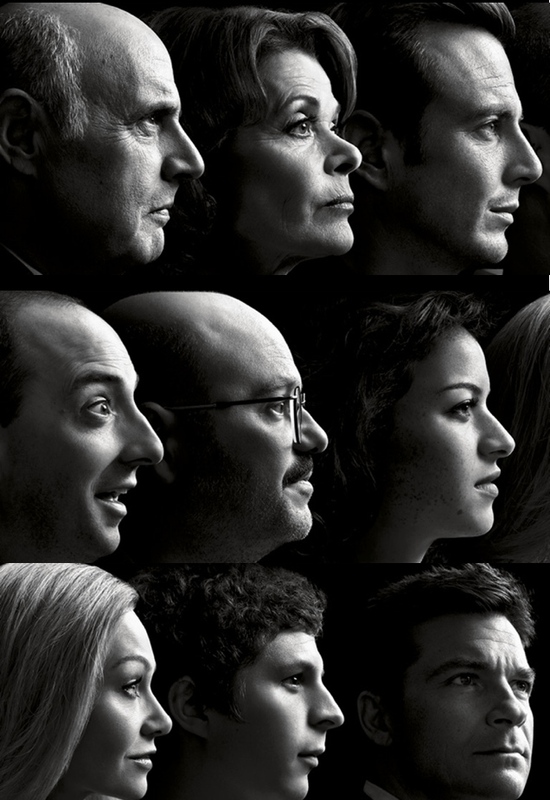 These portraits accompany an Entertainment Weekly article anticipating the return, just four weeks from today (here is a more precise countdown appropriately backed by "The Final Countdown"), of Arrested Development. I'm among those fanatics who feel like May 26 should probably be a national holiday, celebrated by gathering with friends who like laughing until their cheeks hurt, and sharing in family-sized portions of Bluth bananas, hot ham water, and club sauce.